Instacart co-founder Max Mullen goes head to head with Glen's Garden Market founder Danielle Vogel in #LunchAgenda's first live on-air debate, about the future of the grocery distribution industry. First question on today's #LunchAgenda: where are the women in bread?? We shared theories before diving into the history of grain agriculture and milling in the Mid-Atlantic, and exploring how farmers might revitalize a local grain community moving forward. When the "Steve Jobs of Bread" talks about his bread philosophy, you want to listen. Kiko interviewed the team from SEYLOU Bakery & Mill, which opened three months ago in the Shaw neighborhood of DC. 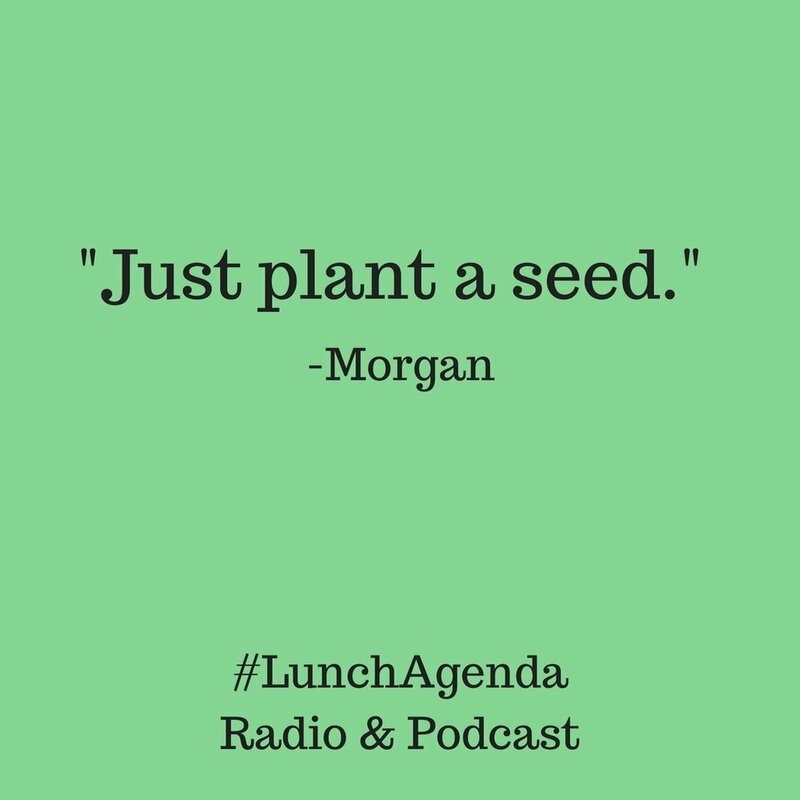 If you tuned into Lunch Agenda today, I hope you came away with this message: local government NEEDS to hear from you--about food policy ideas or whatever's on your mind. Share your perspective at one of DC Council's budget hearings this spring! The schedule is here--don't we all have an opinion on our city's roads, parks, water system, trash pickup, schools, and so many other topics? Ona promises us that local government is LISTENING: "See if there's a food policy council in your area and engage with them. Go talk to your elected official...Very quickly you can become the person they call when they have a food policy question." Speak up! 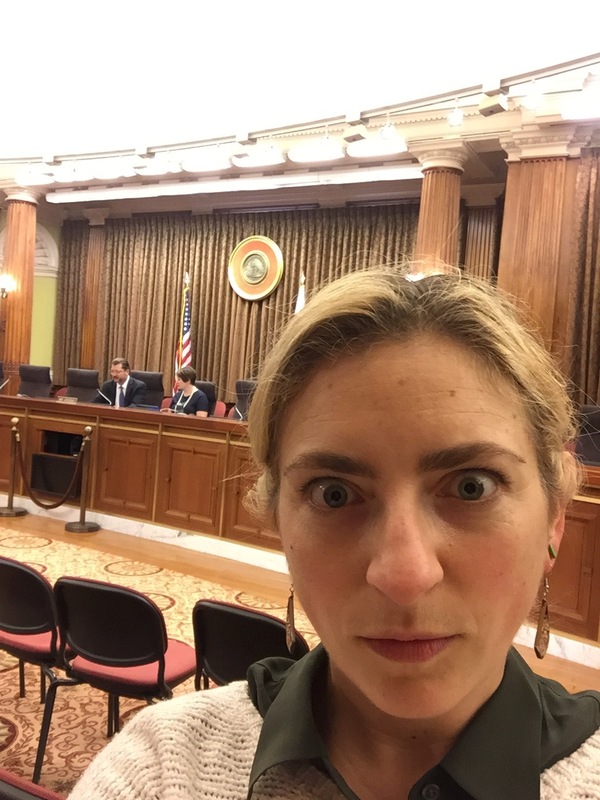 I testified for the first time last week at the OSSE oversight hearing (here's my testimony in case you're curious); Councilmember and Committee Chair David Grosso was definitely listening. I was also the only person to talk about the Healthy Students Amendment Act and Good Food Purchasing Program--so in the very least, I reminded him that we food advocates are paying attention! OR, you can start hyper-local: figure out who your Advisory Neighborhood Commissioner (ANC) is, talk to them about something in your neighborhood. Now that you're ready to testify, what other tips did Ona share on today's show? Ona's sound bite: Is it worth testifying? A: "You know more than you think you do. If you're listening to this podcast, and you've already listened to previous of Kirsten's podcast, you already know more about food policy than many of the Councilmembers....These agencies have a LOT going on, they're working on a lot that's not food, and food can often get lost in that conversation." Also, re: DC statehood: "We just crossed the 700,000 mark for residents in the district, which makes us more populous than two states: Vermont and Wyoming. Yet they have two senators and at least one member in the house, and we have no voting members in congress." "Wherever you are, take one step further in being active with local government. In this time and age, local government is a place where we can make real change, and move forward on progressive change." DC Greens Budget Advocacy Workshop on March 19--Sign up! Kids forge habits and tastes for food long before they reach kindergarten. So for the second episode of Lunch Agenda's "Food at School" series, I interviewed two innovators in early childhood food service. Who wouldn't want to go to a "Joyful Food Market"? 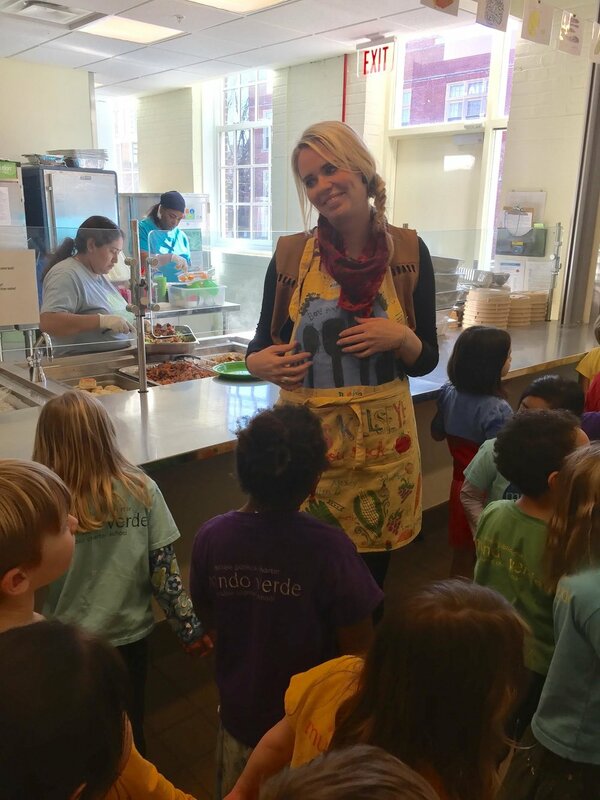 Episode 1 of Lunch Agenda's Food at School series introduces listeners to these free grocery pop-ups offered in DC elementary schools by the Capital Area Food Bank and Martha's Table. The final episode of the Groceries for All series offers hope of groceries coming to an underserved neighborhood in Ward 8. Philip Sambol discusses how his business Good Food Markets will soon offer an alternative to the traditional big box model. In Part 2 of the Groceries for All series, Kiko interviews Tony Lawson, a Ward 8 senior whose grocery commute is 45 minutes each way. In part 1 of Lunch Agenda's Groceries for All series, Kiko interviews Dominique Hazzard of DC Greens, who planned the Grocery March in Southeast DC last Fall.